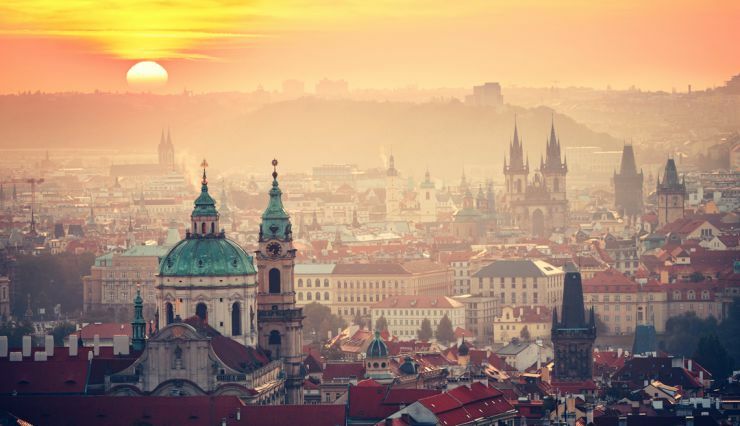 The historical center of Prague holds an enormous number of attractions. There are old medieval squares and tiny streets, Art Nouveau buildings, baroque churches as well as interesting museums and galleries. In addition, every district that composes this historical center is unique and offers its own particular atmosphere. 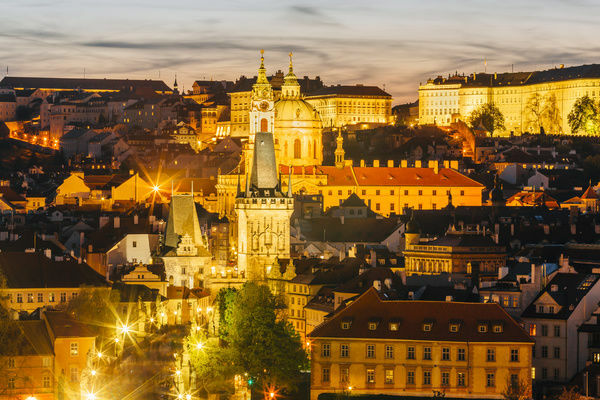 This Czech Republic itinerary will lead you through the beauties of the Mala Strana District that is situated on the left side of the Vltava River, from the Ujezd Tram Station to the Malostranska Metro Station. Mala Strana is full of tiny curved streets with cozy cafes and restaurants as well as important architectural and historical sights. The church’s medieval dungeon that hides, alongside with the oldest basements of the church, the tombs of the most important Czech kings and Saints. Walk quietly and enjoy the murmuring of the trees and the tweeting of birds that are flying around. When you arrive at the airport of the capital of Czech Republic, call for a private transfer that will take you to the hotel. After reaching the hotel, take a short tour around the city and come back in the evening, to take some rest. 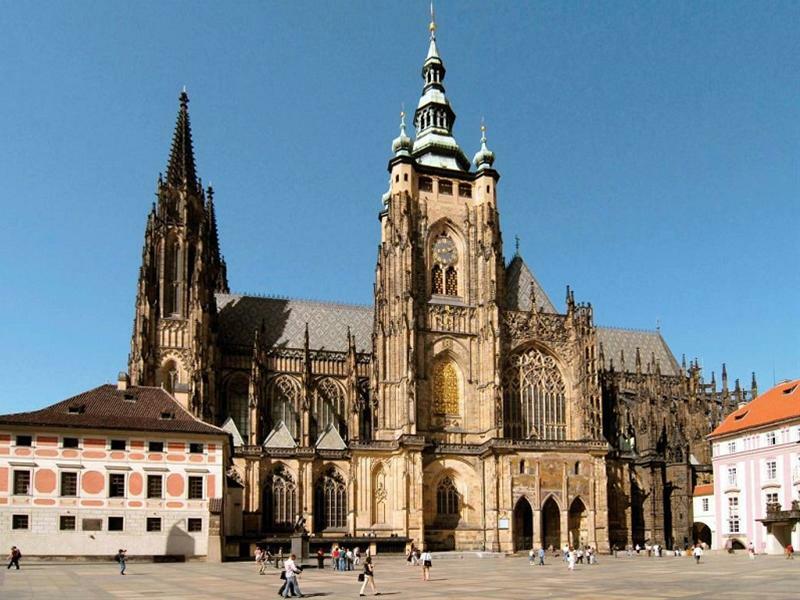 Let’s begin with the most important spot, the famous Prague Castle. 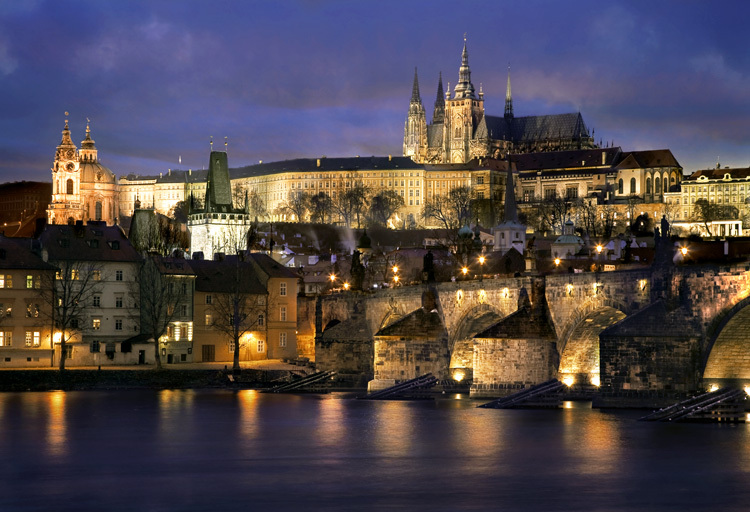 The Prague Castle is situated on the top of the rocky Opys Hill and it is accessible from the Prazsky Hrad Tram Station. If you prefer to walk a bit, you can also climb to the castle through the old Castle Steps, situated near the tram station Malostranske Namesti. 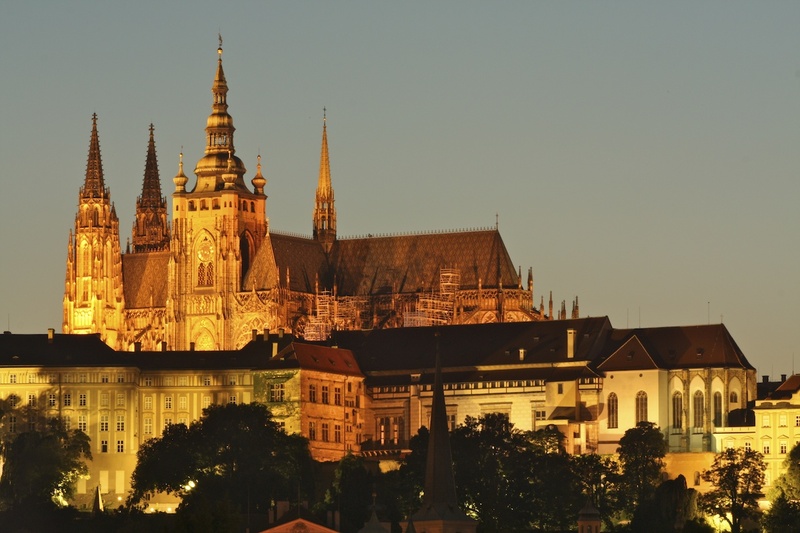 The Prague Castle is one of the largest castles in the world; its length is 570 meters and its width 128 meters. It is also one of the oldest as its history goes back to the 9th century. It was the castle of the most important Czech lords and kings and it gained status as the symbol of the country. This symbolism has been preserved since 1918 and it is where the president of the republic and its government meet. When visiting the Prague Castle, look at the top of the main building – if you see the Czech National Flag hanging on the pole, it indicates that the president is at home. 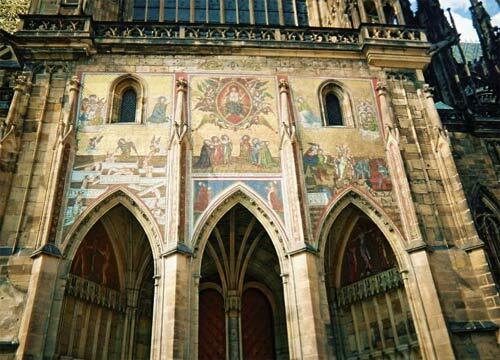 Prague Castle hides many interesting buildings, the most important of which is definitely its iconic Gothic church called Saint Vitus Cathedral. You can’t really visit the castle without visiting this stunning building. 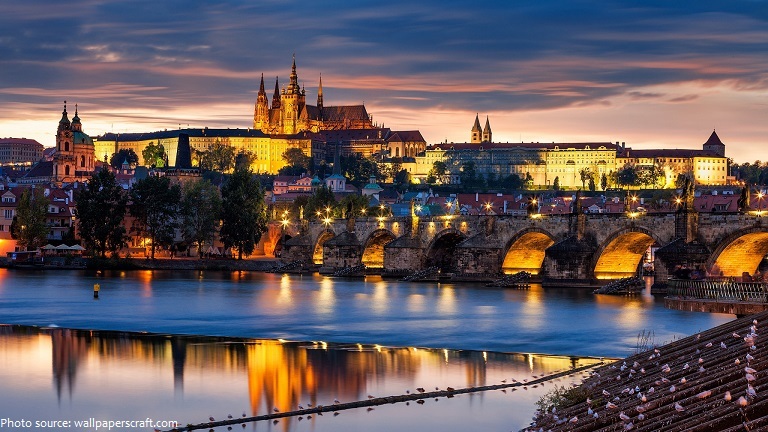 It was designed by the famous Czech architect, Petr Parler, in the 14th century and it is so big and complicated that its construction didn’t finish until the 19th century. When you enter inside and see the monumental ceilings and the fascinating window mosaics you’ll understand why the construction took so much time. 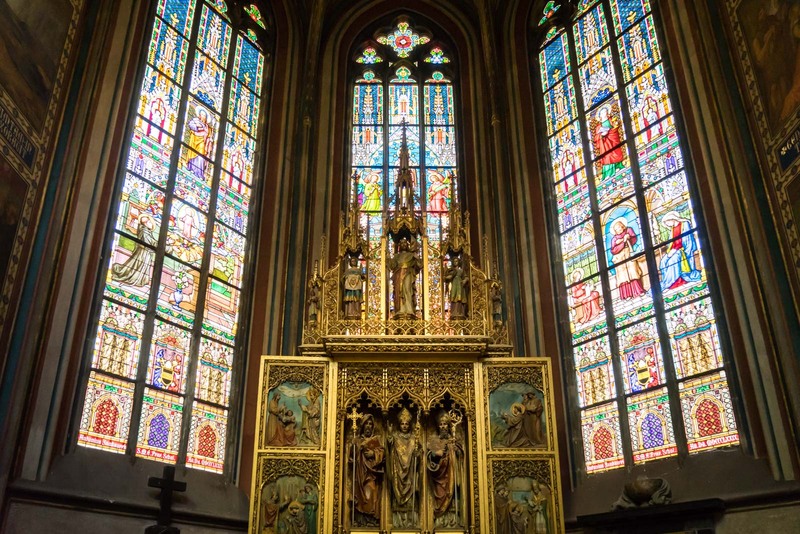 Even if the interior will attract all your attention, don’t get stuck on it as you’ll also want to visit the church’s medieval dungeon that hides, alongside with the oldest basements of the church, the tombs of the most important Czech kings and Saints. Another sight in Mala Strana that is a must-see is Petrin Hill. You can climb there almost directly from the castle, just go straight from its main gate and at the end of the Loretanska Street turn left. The green trees and the top of Petrin Observatory Tower will easily guide you to the top. Before climbing up the hill, turn your eyes to the right – there is a beautiful complex of monastery buildings called Strahovsky Klaster. The monastery was built in the 14th century and it hides two interesting museums - the curious Museum of Miniatures and the Museum of National Literature. Both are worth visiting. In addition, there is a nice restaurant called Klasterni Pivovar Strahov that serves traditional Czech dishes with a good Czech homemade beer. After a small stop at the monastery, you can continue your way to the top of Petrin, the main attraction of which is the tower. Petrin Observatory Tower was built at the end of the 19th century as a small imitation of the famous Eiffel Tower in Paris. Don’t forget to climb on its top as you’ll be rewarded by the most stunning panorama of the whole city. The riverbanks of Mala Strana are interesting and you can’t miss them. The best way to discover its beauty is to take a small walk through Mala Strana Kampa Park, which is its favorite park. It is a small, quiet place where the students from surrounding schools take a rest during their free time. There is also the lovely Certovka River, whose riverbed is bordered by picturesque houses, mills and tiny bridges. 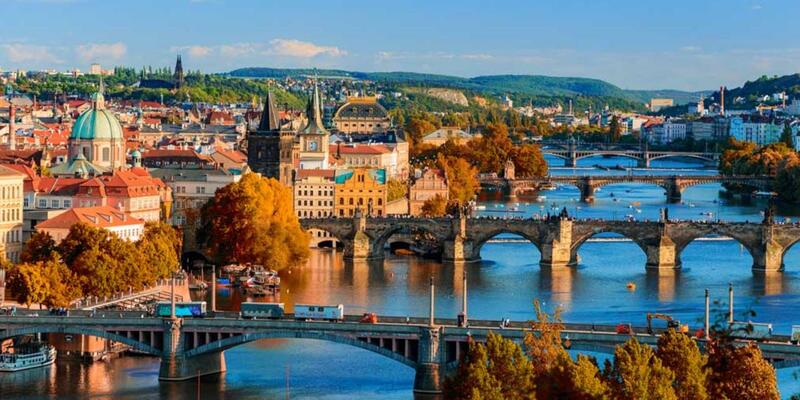 To get there, leave the tramway at Malostranske Namesti and walk in the direction of the medieval Charles Bridge. Before the bridge begins to turn right and pass under it. 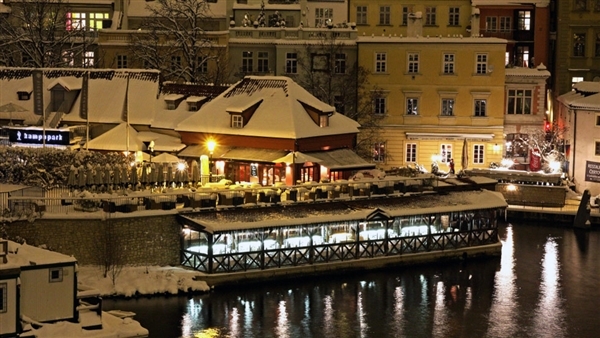 You’ll find yourself at the core beginning of Kampa area. First, you’ll meet a small stone area often animated by local food and craft markets. Enjoy looking at all the hand-made products and buy a good Czech delicacy for the road. Then, continue to the tiny street on the right. 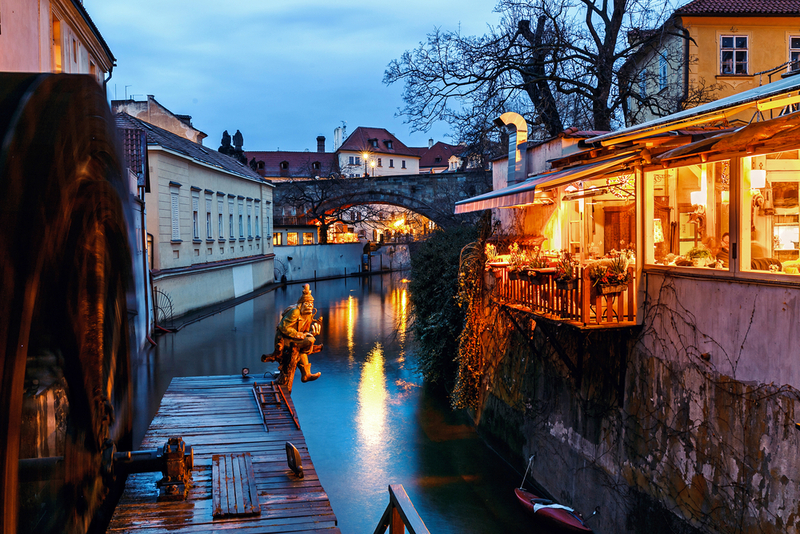 It will lead you through the Certovka River to one very special Prague attraction called Lennon’s Wall. It was created in the ’60s as a dedication to John Lennon. Actually, the ’60s was the period of communist political release and at this time, people gained a bit more freedom of expression. That’s why the wall is full of love notes, nostalgic poems and spray-painted pictures. 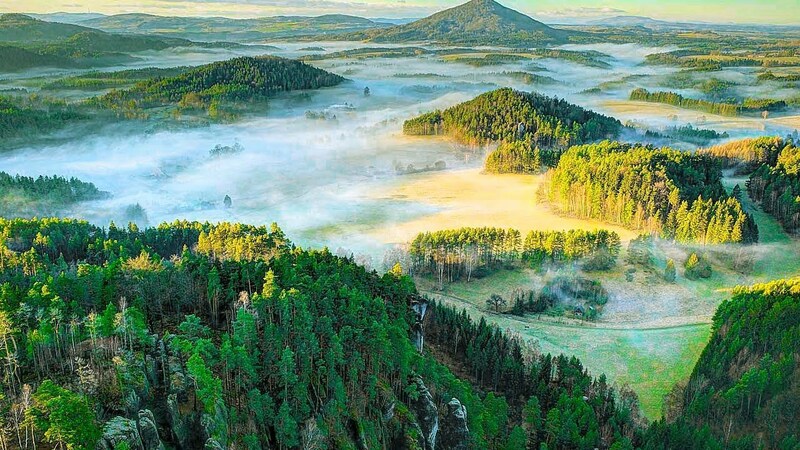 If you come to the Bohemian Forest you’ll be enchanted, so the sixth day is reserved for this. It offers untouched nature, with several lakes and many wild animals. In fact, a big part of the region was designated a UNESCO Biosphere Reserve. The small hike to Klet will clearly show the beauty of this region. The best way to Klet Hill is to follow the green tourist sign from Krumlov that will guide you to the top. Even though it is a hike, the elevation is very gentle and it leaves you time to discover the beautiful forest and its flora and fauna. Walk quietly and enjoy the murmuring of the trees and the tweeting of birds that are flying around. If you’re tired, just stop for a moment to look at a panorama of the surrounding countryside. But don’t stop for too long, as the best view is waiting for you uphill. Actually, the hilly region around Krumlov where Klet is situated is called “Sumava”, which in English means the Bohemian Forest. The region has an interesting and complicated history. As it forms a natural frontier between the Czech Republic, Austria, and Germany, it was one of the areas that were a subject of important national conflicts. Many people that originally lived here were of German descent and it was this fact that launched the annexation of Czechoslovakia to nationalist Germany during the Second World War.